Graduate workers and their allies have been wearing buttons on Wednesdays in the past month to demand relief of mandatory fees. They have also been gathering at Bascom Hall to talk about how those fees negatively affect the university’s working, educational, and research conditions. By charging its graduate workers thousands in immoral fees and denying them fair pay, UW-Madison administration does its part to ensure that quality education goes only to the most wealthy and privileged. We believe this policy does not fit UW-Madison’s role as a public university and it imperils the Wisconsin Idea of supporting local communities. Hundreds have signed a pledge to call for immediate action. 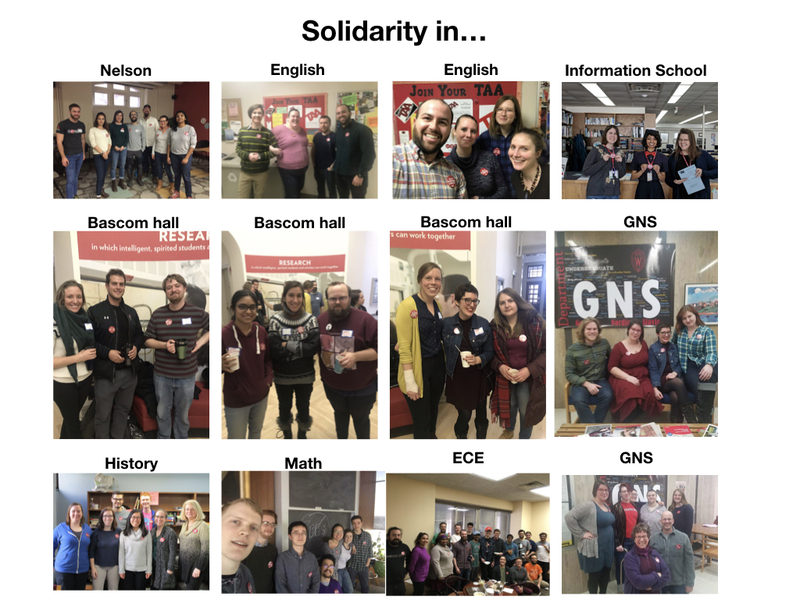 And graduate workers are organizing a Sit-in at Bascom Hall on Friday April 5th. Need a button? Get one at the Bascom organizing meetings, Wednesdays 3-4 at Bascom Hall.